Website Projects • Our Work • Client : Mazzer New Zealand. E-commerce + Retail, Catalogue, Distributor, Responsive, Company + Profile website developed by TANK Web Supply, Auckland, New Zealand. 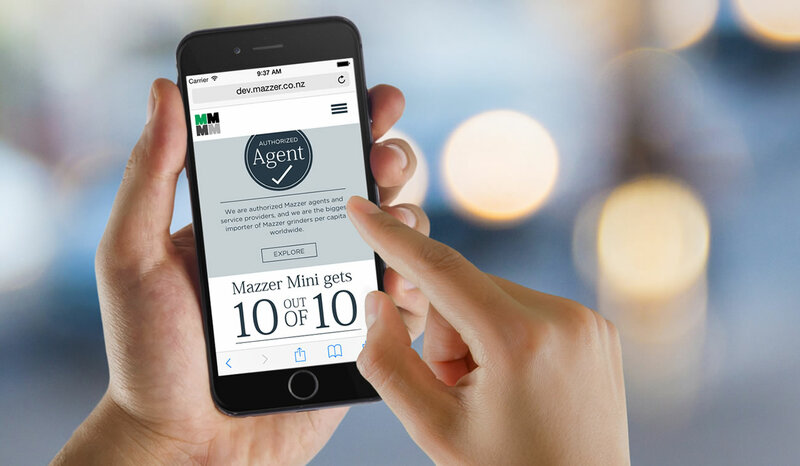 We were asked by Mazzer New Zealand to refresh their existing web-presence. The brief was to strengthen the Mazzer brand and enhance customer engagement. The outcome is a responsive website that combines high-end product photography with bold colours. Simplicity makes Mazzer the highly desireable hero! Distributors are easily managed and displayed via the custom Google map.